They have been vine-growers for three generations; the great-grandfather, Albert Denis, set up the Domaine de la Renaudie in 1928. Since 1982, Bruno Denis has been running the estate. He is a perfectionist, thoroughly committed to his profession, and since he started making the wines, they have progressed steadily in quality. 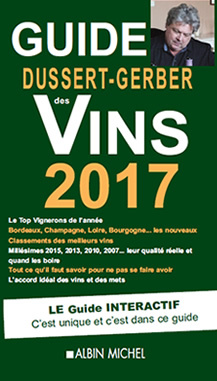 His wife, Patricia Denis, is a trained oenologist, but mainly deals with sales. The age of the vines (35 years on average) and the poor, shallow soils result in wines for laying down. The winery is a complex of buildings, each with its own specific role in the various stages of winemaking. The main, recently-built vinification winery is set apart and is equipped with stainless-steel vats and all the equipment required to turn grapes into wine and to control temperatures. The storage and ageing cellar has a capacity of 120,000 bottles and is also used to prepare orders, while a former cellar, which has been turned into a client reception, can hold up to 50 people. 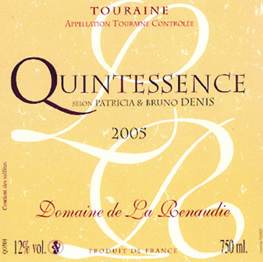 Several wines are most successful, such as the very fruity Touraine-les-Guinetières, the Touraine-Cabernet, a colourful, rich wine with silky tannins, aromas of raspberry and underwood, and the Tradition, rich and aromatic, with a powerful, lasting nose in which red fruit and spices stand out, a round, well-structured wine which is mellow in the mouth and which has excellent ageing capacity. The Touraine white, very typical of the Sauvignon, is fresh and fruity with characteristic notes of lime and dried fruit, combining roundness and aromatic freshness in the mouth - as does the rosé, Perle de Rosée.